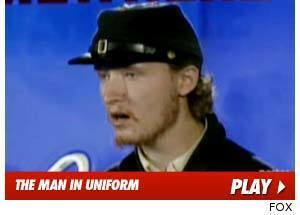 The Civil War reenactor from last week’s episode of “American Idol” wasn’t joking — the guy actually pretends to be a soldier from the 1860s in his spare time … and TMZ has obtained a photo to prove it. 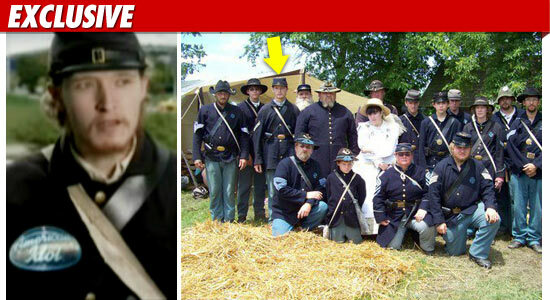 Sources in Nathaniel Jones‘ Civil War reenactment group — called “Muskets and Memories” — tell TMZ, the 22-year-old from Wisconsin has attended the historical dramatizations for years with his family. Our sources had no comment on Nathaniel’s singing ability (or lack thereof) — but said they were excited he was reppin’ for their pretend regiment.